Sol Trujillo is a highly experienced international business executive who brings 30 years of international business experience to the company, having served as chief executive officer of three $50 billion market cap companies on three continents in the media communications space; US West (now Qwest), Orange (now France Telecom) and Telstra, the Australian communications company. Recognized as a broadband and wireless pioneer, he has a reputation as an innovator in the digital space, described by President Ronald Reagan’s science adviser as “the nation’s first digital telecom CEO.” Mr. Trujillo has managed operations and remains active in business affairs in both developed and emerging markets from China and South Asia to Europe, North America, Latin America, Africa and the Middle East, including more than 20 countries around the world. At Telstra, Mr. Trujillo completed the company’s privatization and led an end-to-end transformation of a traditional government-owned telco into an integrated media-communications company with world-leading results. These achievements were recognized by his selection as “CEO of the Year” for 2008 by Australian Telecom Magazine. Mr. Trujillo is an active member of corporate boards in the U.S., EU, and China — including, in the U.S., Target (Minneapolis) and Promerica Bank (Los Angeles), where he is vice chairman; and internationally, WPP Group (UK), the world’s largest communications services group with offices in 107 countries; Weather Investments S.p.A (Italy), Silk Road Technologies (Hangzhou, China), where he is board chairman. Mr. Trujillo previously served on the boards of Bank of America, PepsiCo, EDS, Orange, Telstra and Gannett, the newspaper chain that includes USA Today. In the public sector, he served as a trade policy advisor to the Clinton and Bush administrations and remains active on public policy issues related to immigration, trade, productivity and fiscal affairs. Additional information about Sol Trujillio - click here. 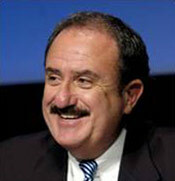 Charles P. Garcia co-founded the company with some of most prominent Hispanic business leaders in the United States. Prior to this, he served as the Chief Executive Officer of a financial services and investment banking firm focused on the Hispanic market, which he sold in 2006. At one point it grew to 60 offices in seven countries, with 20,000 Hispanic clients with over $2 billion in assets. His firm was named by Inc. magazine as the # 8 fastest growing privately held company in the country and he was named Entrepreneur of the Year by three national organizations. He is serving his fourth term as Chairman of the Board of Visitors of the U.S. Air Force Academy, a Presidential appointment. He is on the Board of Directors of Winn Dixie Stores, a Fortune 500 company that is one of the nation’s largest food retailers in the southeast. He is a member and former Chairman of the Aetna Latino Advisory Council, an advisory board reporting to the CEO of Aetna, Inc. focused on growing the Hispanic market share of this diversified healthcare company. He is the national spokesman and Hispanic market consultant for Amway Global, a leader in the $80 billion global direct selling industry. He is a director of the National Society of Hispanic MBAs, a leading Hispanic business organization. Charles is a member of the advisory board for the Florida State University Center for Hispanic Marketing Communication, a national hub for innovative research for marketing to Hispanic consumers. He is a graduate of Columbia Law School and a member of The Florida Bar. He is a member of the Young Presidents Organization (YPO). Gary Trujillo has more than 25 years of venture banking, merchant banking and consulting experience, specializing in early stage venture capital markets. Prior to founding Garcia Trujillo, he founded Southwest Harvard Group in 1990 and has served as the firm’s president and CEO. Mr. Trujillo began his career in investment banking in 1983 as a financial analyst with Salomon Brothers Inc. in New York City. He later joined RBC Dain Rauscher as an investment banker in public finance. He subsequently served as a staff assistant to L. William Seidman, chairman of the Federal Deposit Insurance Corporation and the Resolution Trust Corporation in Washington, D.C. He led Southwest Harvard Group’s venture capital efforts throughout the 1990s, when SHG purchased, invested or created companies in the following industries: manufacturing, medical research, prepaid cellular phones, real estate asset management, performing/nonperforming loans, construction project management and money management. 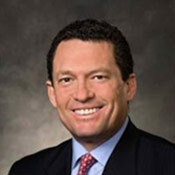 In 1999, while continuing his management oversight of SHG, Mr. Trujillo joined the Internet company Quepasa.com Inc. as its chairman and chief executive officer. 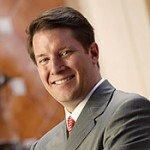 While at Quepasa.com, he led both the completion of a $55 million initial public offering for the company and the assemblage of an independent, world-class board of directors. Mr. Trujillo received his MBA from Harvard Business School. He has a bachelor’s degree in accounting from Arizona State University. He serves on the boards of Wells Fargo Bank-Desert Region and Blue Cross and Blue Shield of Arizona and is a member of the Young Presidents’ Organization. Alberto Avila joined Garcia Trujillo as a Founding Member and is now its chief operating officer and head of the consulting practice. Mr. Avila has more than 15 years of experience in business consulting. His career includes top-level positions with PWC and Deloitte, the world’s two largest professional services firms. 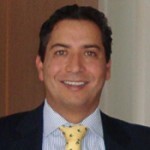 Mr. Avila has vast experience in management consulting and corporate finance. He has advised clients in different industries, such as oil and gas, retail, banking, the public sector and industrial. He has been a regular advisor of the Ecuadorian Bank Superintendency and has provided professional services to multinational corporations such as Amway Global, Hoerbiger, Repsol YPF, Carrefour, CAF (Andean Development Corporation), IDB (International Development Corporation) and the World Bank. Mr. Avila has a bachelor’s degree in physics and mathematics from Escuela Politécnica del Ejército (Ecuador), a finance and banking degree from Palm Beach Atlantic College and a master’s degree in business from Instituto de Empresa (Madrid). He has acted as board member of the French Chamber of Commerce in Ecuador and president of Instituto de Empresa Alumni Association in Ecuador. Mr. Avila has been a professor of international finance, business valuation and banking at Universidad Andina Simón Bolivar, Universidad San Francisco de Quito and Universidad de las Americas.